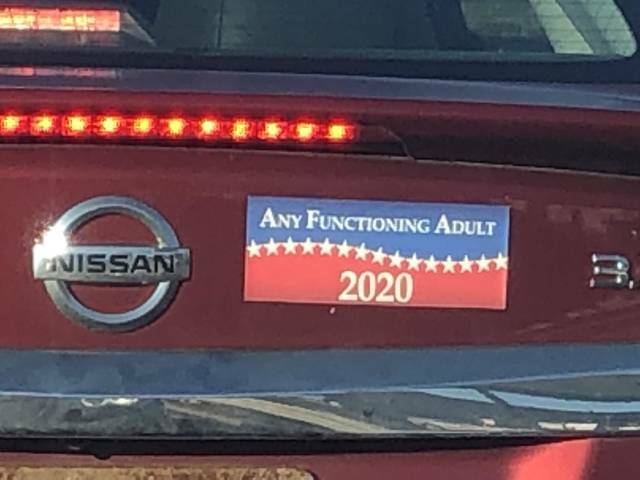 This entry was posted in Great Plates and Bumper Stickers. Bookmark the permalink. 4 Responses to Great Plates and Bumper Stickers, Cont. Love it. Can we make a “party” with that slogan? “Patriot” would be a nice change, too. There are more qualifications to add but the size of the sticker is a limitation.